When it comes to our hair, we all want it to look as good as possible. This is not just in terms of the condition, color, and appearance but also in terms of hairstyle. Anyone that is into keeping up with fashion will also be keen to keep up with the latest trends in terms of hair. So, what are the hottest women hairstyles 2017? Well, the good news is that there are hot hairstyles to suit all tastes for fall and winter of this year. Whether you like your hair short or long, straight or curly, traditional or unique, you will find plenty of hot hairstyle options. Futuristic: These are ideal for short and chin-length hair. 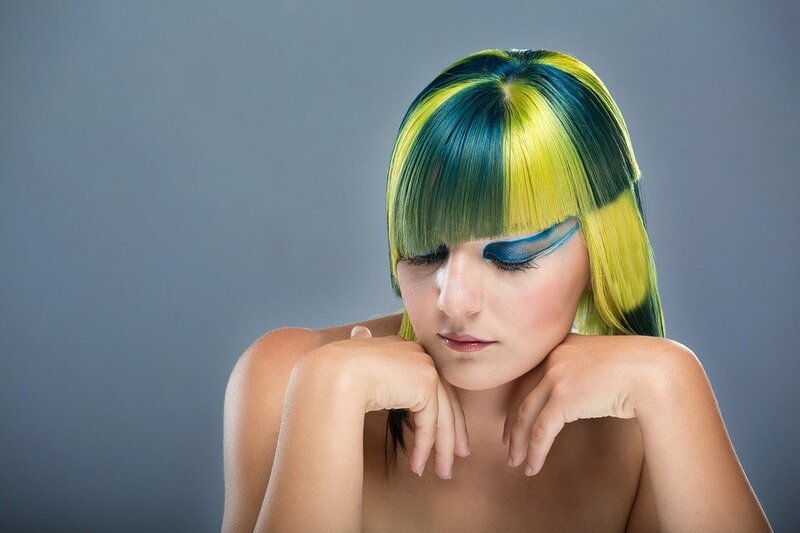 Think glossy, poker straight, and full fringe – this is a really chic look and for added funkiness, you can even add some vibrant color either all over or just to the ends. Braided: The fashion gurus are currently hyping about braids. This is not all over braids but just elements, where you have a few braids sitting on top of the otherwise long straight hair. This helps to add an edgy look without taking it to the extreme. Voluminous and swept back: If you have longer hair, this could be a great option. One of the hot trends is longer hair that is swept back at the front to create loads of volume – almost like the styles that were around in the sixties. You can use a thick Alice band to keep the hair back from the face and don’t even think about wearing a hat because you won’t fit it over the voluminous bouffant that you should be sporting. Slick: For those with thin length or slightly longer hair, the chic, innocent style is a great hit. You can side part your hair and then have it slicked back from your face on both sides. This is a great look if you want a combination between really stylish and modern yet a little bit on the edgy side. Colorful: Never before have we have so many hair colors available to us, and women are certainly making use of them. This season bright and bold is the way to go. You can choose from vibrant reds and purples, rainbow designs that have been colored individual layer by layer, and even sparkling silver and metallic colors. Feminine: If you consider yourself quite a girly girl, you are in luck. Another of the hot trends this season is feminine and romantic. There are some stunning looks for those with longer hair, from the tousled feminine finish to gentle waves with a middle parting. If you want to be on top of the latest trends when it comes to your hairstyle this season, try out the looks above.